The Roman empire remains unique. Although Rome claimed to rule the world, it did not. Rather, its uniqueness stems from the culture it created and the loyalty it inspired across an area that stretched from the Tyne to the Euphrates. Moreover, the empire created this culture with a bureaucracy smaller than that of a typical late-twentieth-century research university. In approaching this problem, Clifford Ando does not ask the ever-fashionable question, Why did the Roman empire fall? Rather, he asks, Why did the empire last so long? Imperial Ideology and Provincial Loyalty in the Roman Empire argues that the longevity of the empire rested not on Roman military power but on a gradually realized consensus that Roman rule was justified. This consensus was itself the product of a complex conversation between the central government and its far-flung peripheries. 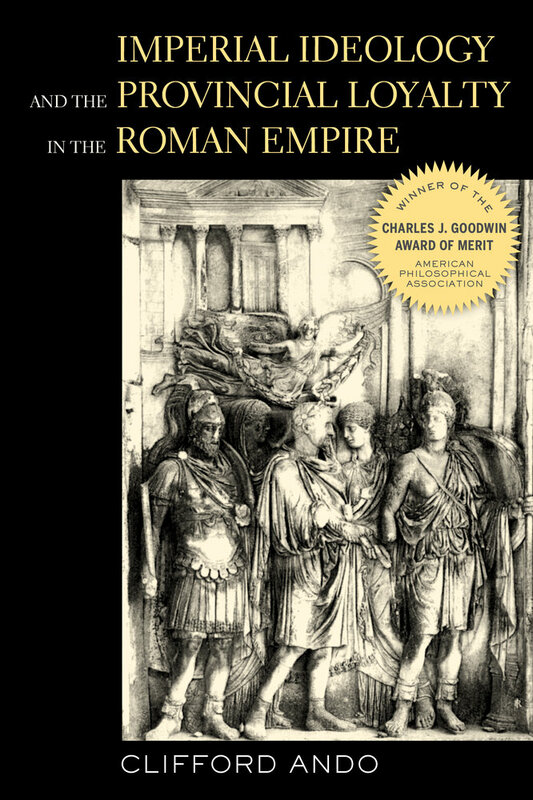 Ando investigates the mechanisms that sustained this conversation, explores its contribution to the legitimation of Roman power, and reveals as its product the provincial absorption of the forms and content of Roman political and legal discourse. Throughout, his sophisticated and subtle reading is informed by current thinking on social formation by theorists such as Max Weber, Jürgen Habermas, and Pierre Bourdieu. Clifford Ando, Professor of Classics, History, and the College at the University of Chicago, is author of Imperial Ideology and Provincial Loyalty in the Roman Empire (UC Press), winner of the Charles J. Goodwin Award of Merit from the American Philological Association, among other books.